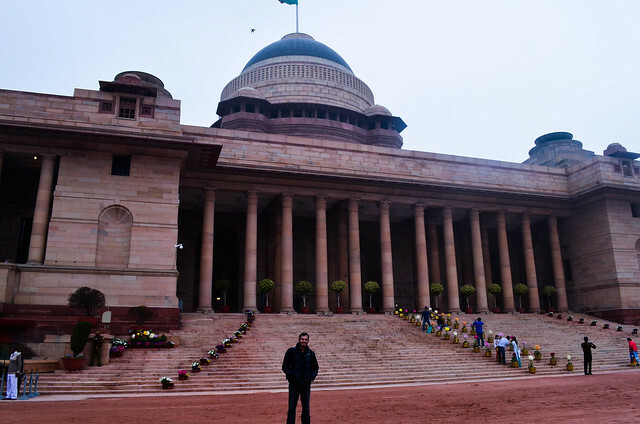 On March 1, 2014 I got an opportunity to visit Rashtrapati Bhavan, the Presidential Residence of the World’s largest democracy. 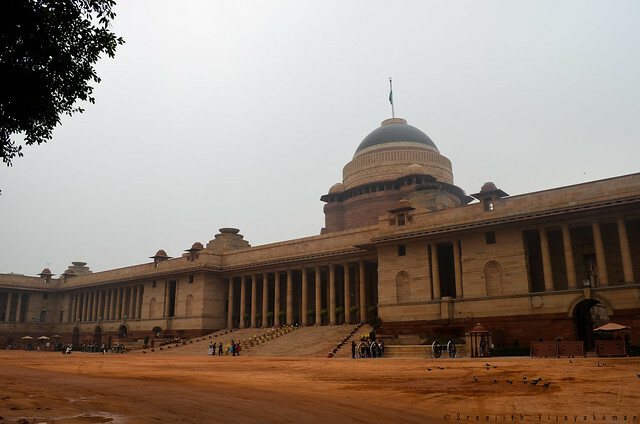 As part of Pranab Mukerjee’s (current President of India) mission to bring Rashtrapati Bhavan closer to public, guided tours of the Bhavan are being offered to general public (since 2013). 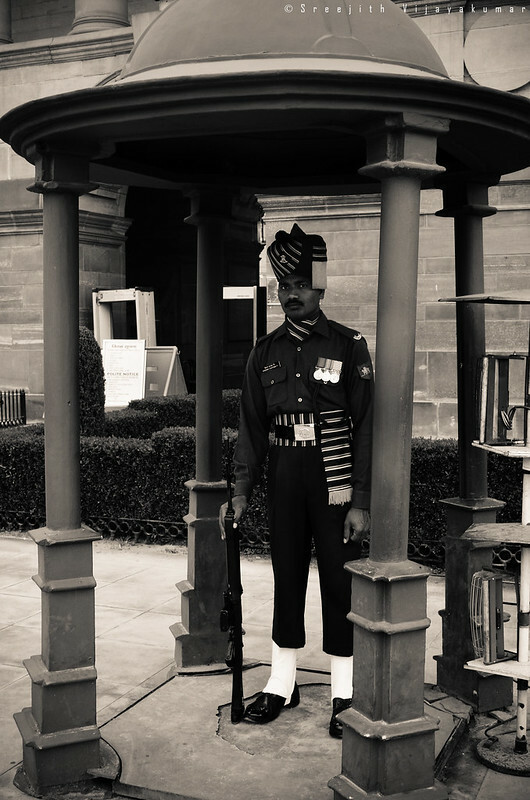 The Change of Guards ceremony, conducted every Saturday at the forecourt of the Bhavan will also be accessible to the public. 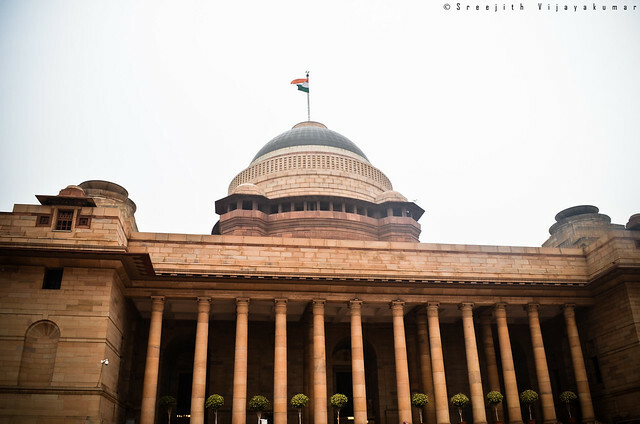 Newly built Rashtrapati Bhavan Museum was opened on August 1 2014 (its construction was going on during my visit). 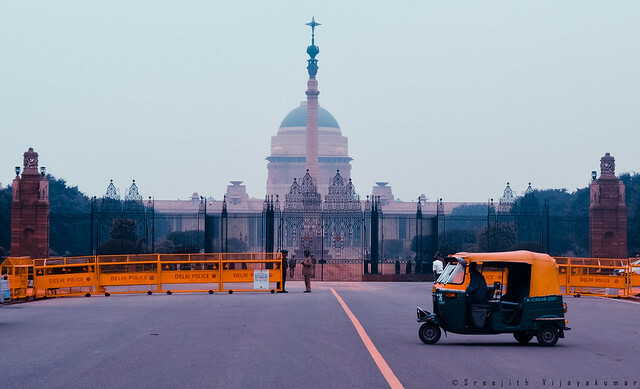 A visit to the Mughal Gardens (open during February-March) will make the visit to the Bhavan complete.You can find the details about the registration process for visit at the bottom of the post. 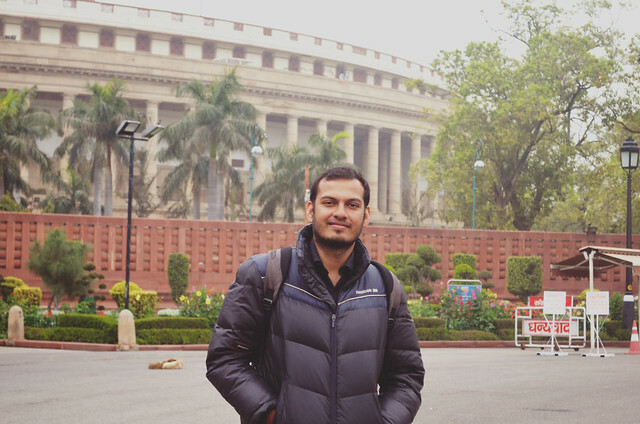 Saturday, 1st March 2014: I am back at Delhi after my Srinagar-Jammu-Punjab trip. Next day, I will be flying back to Thiruvananthapuram, my hometown. 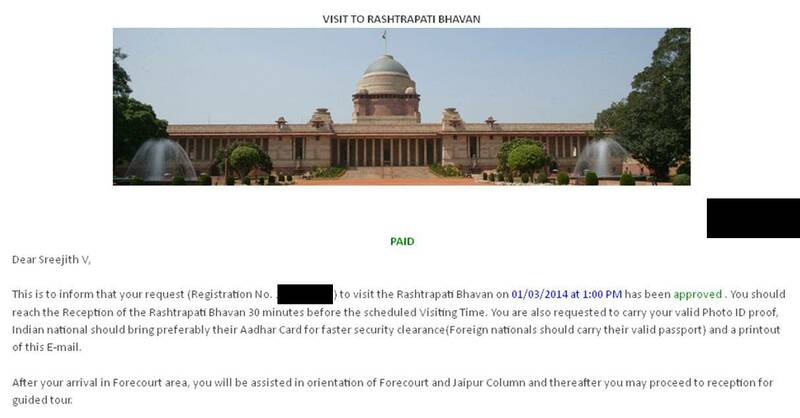 My energy levels are alarmingly low and my body was urging for rest, but not before the visit to Rashtrapati Bhavan. 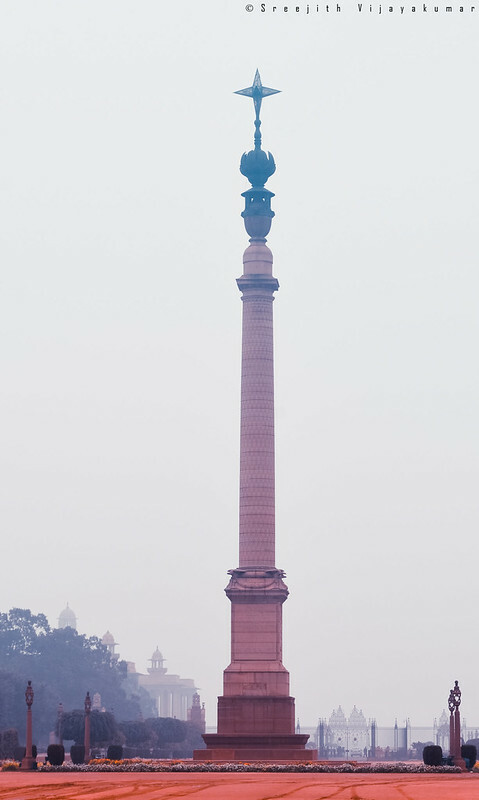 Reached Raisina Hill at around 9 am; the Change of Guards ceremony was scheduled at 10 am. 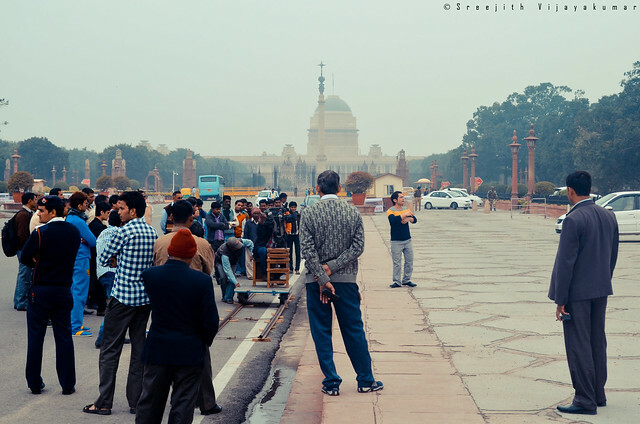 The notorious winter in Delhi was slowly giving way to warmer days. The air was chill and my jacket was doing a good job. 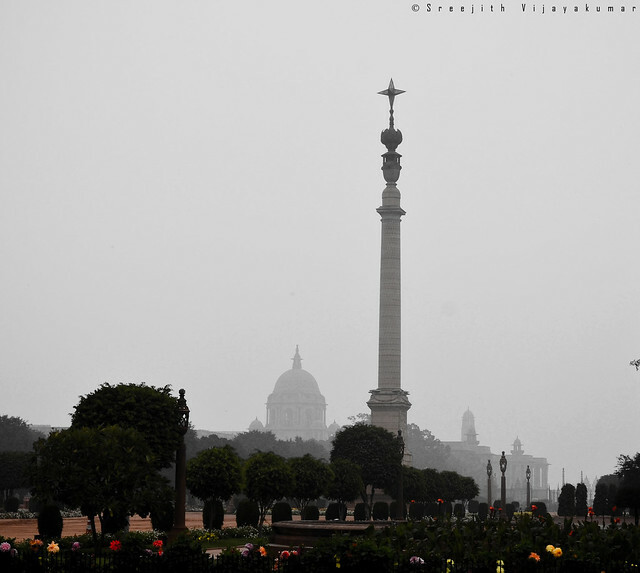 I was standing at one side of Rajpath that runs from Rashtrapati Bhavan to National Stadium. 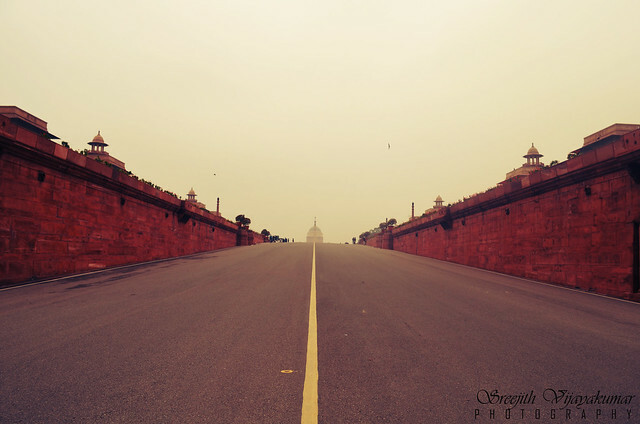 North Block and South Block lies on either side of Rajpath. 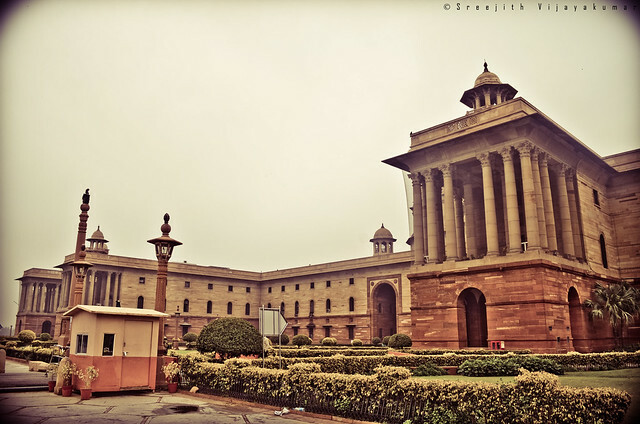 These 2 symmetrical blocks of Secretariat Building houses the most important offices of Government of India. 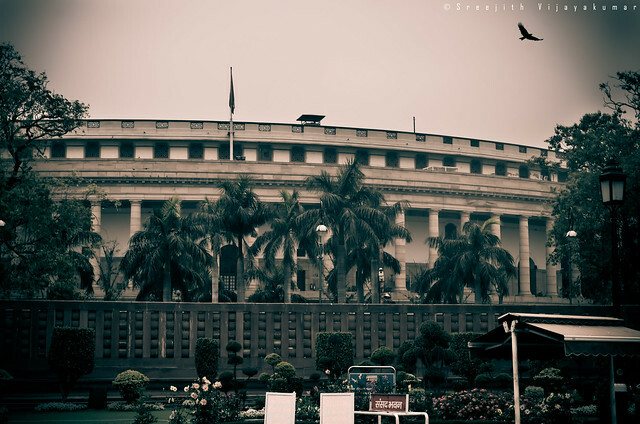 Prime Minister’s Office, Defense Ministry, and External Affairs Ministry are in South Block. 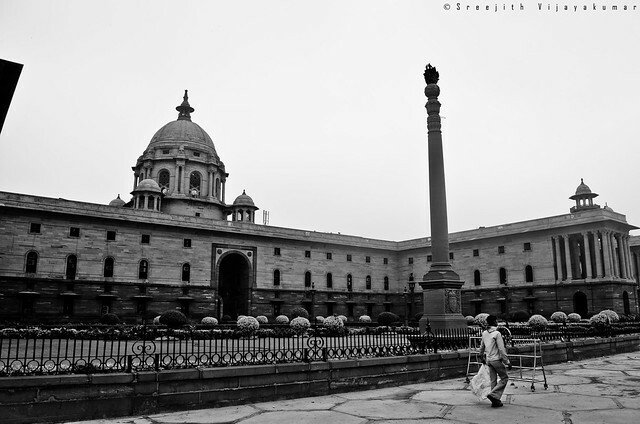 North Block houses the Home affairs and Finance Ministries. 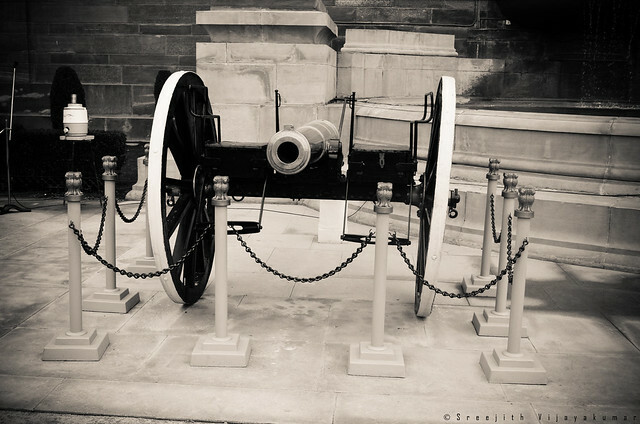 Still, photography is allowed in this high security zone. Government staffs were entering the building after passing through a metal detector and a quick check by the security officials. On enquiry, security staff confirmed that the ceremony was cancelled as the forecourt turned muddy due to overnight rains. 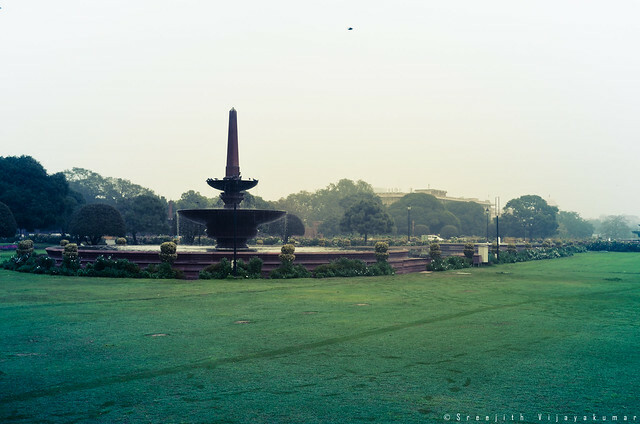 I decided to walk towards Mughal Gardens which is behind the Bhavan. 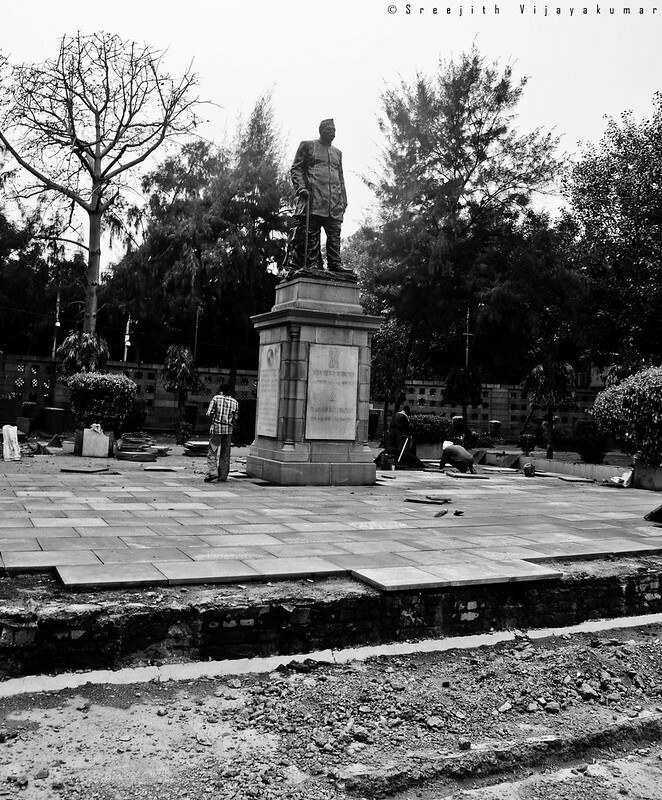 Renovation work going on around the Statue of Govind Ballabh Pant, read more about him in Wikipedia. 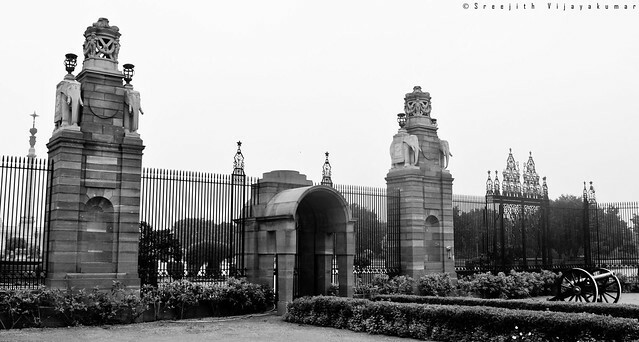 Mughal Gardens: The entry and exit to the Gardens is through gate number 35. The camera and backpacks needs to be deposited at the counter (free of charge), mobiles are allowed – but mobile photography is prohibited. 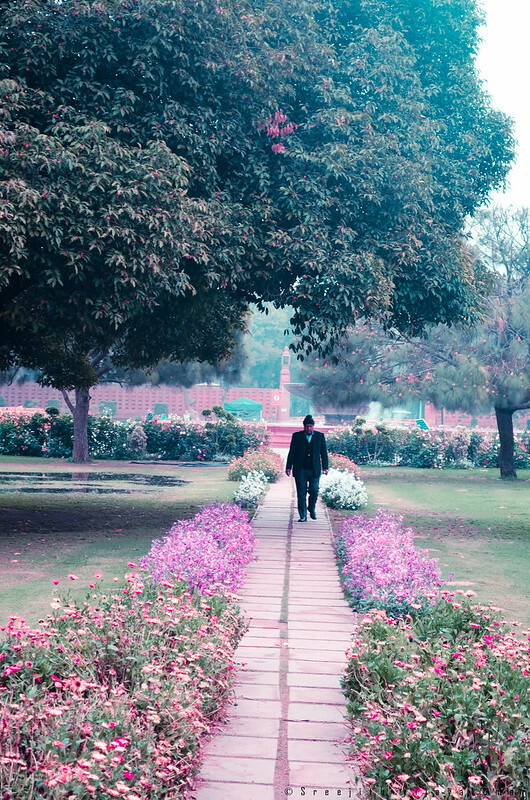 The garden is divided into unique sections – Herbal Garden, Bonsai Section, Mughal Garden, Rose Garden and Circular Garden. There are souvenir shops near the exit point. By 2 pm the tour was over. 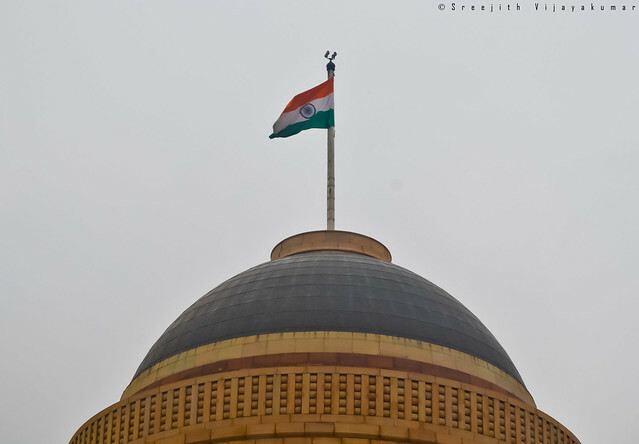 After taking some photos of the forecourt and front view of the building, I bid adieu to Rashtrapathi Bhavan feeling highly patriotic. Registration for the visit is a simple process. The instructions are straightforward. Dear Brother, A complete over view on the details. Supeb Pics.. Wonderful Information about the travel also. 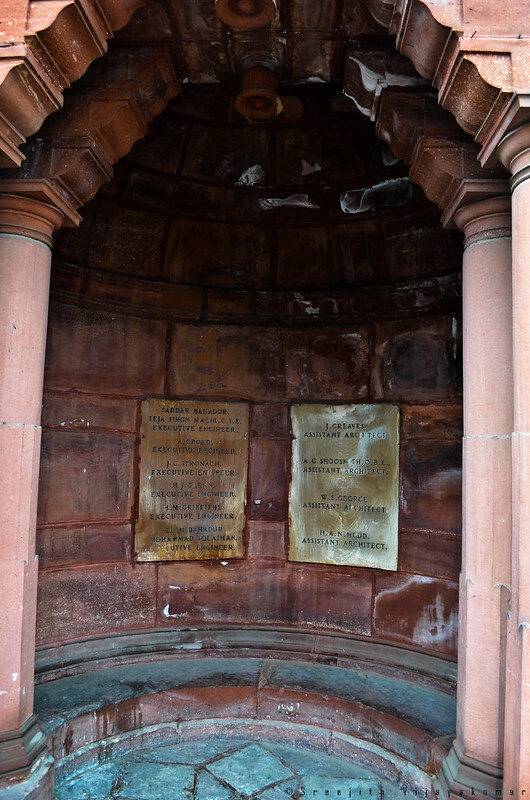 Nice travelogue……well detailed with pictures….Good going Sree…..
the old buildings are beautiful…. I recollect my memory of visiting there!! !